iHome Star Wars R2D2 Portable Speaker Just $7.99! Down From $24.99! 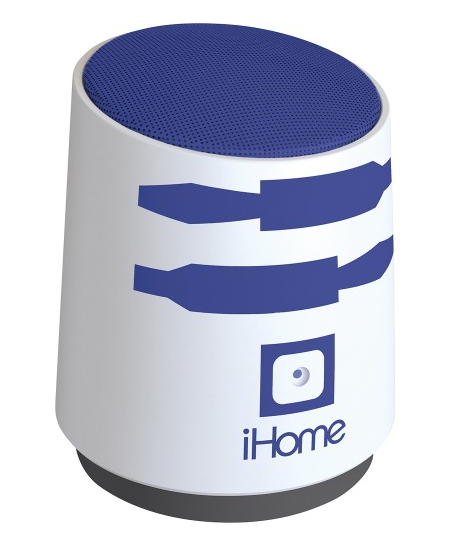 You are here: Home / Great Deals / iHome Star Wars R2D2 Portable Speaker Just $7.99! Down From $24.99! Best Buy has this iHome Star Wars R2D2 Rechargeable Portable Speaker on sale for $7.99 (Reg. $24.99)! Enjoy your music with one of your favorite characters with this iHome Star Wars R2D2 92298917825 speaker, which features an auxiliary input, so you can play tunes from a compatible device. The rechargeable battery provides ample on-the-go power.